We had another beautiful day on the shores of Long Lake. Our Sub Seniors, who returned home from their little trips, were allowed to sleep in this morning, skip breakfast, and woke up to the smell of Paddy’s homemade egg sandwiches prepared on Senior Quad. 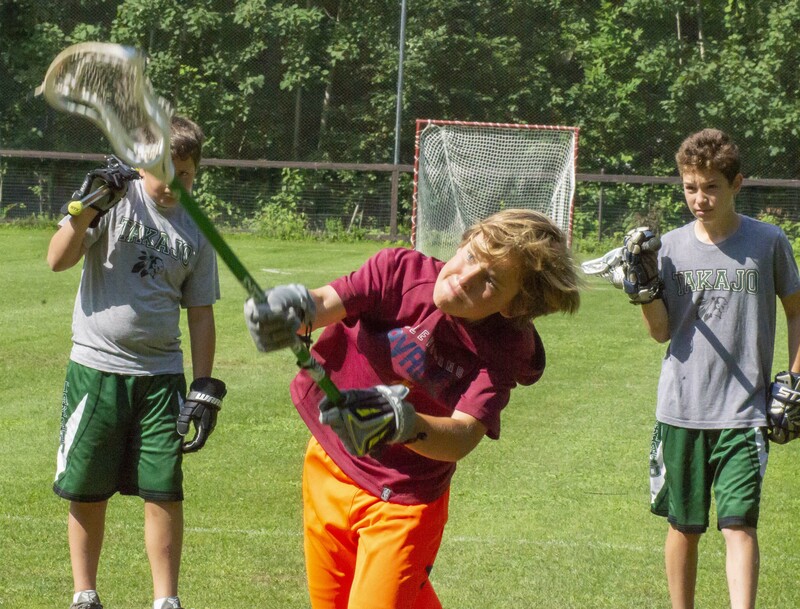 Some of our 10-year-olds made their way to a neighboring camp for a day of intercamp tennis, while a bunch of our 11-year-olds participated in one final lacrosse tournament. The remainder of the campers stayed in camp and took part in a number of fun activities. We had a few families tour Takajo today, looking to see if this is the camp where they will send their sons next summer. As I stood with a perceptive mom and dad, they watched our Warrior campers during a free swim period. These parents were blown away at how well-behaved our boys were and remarked that every child seemed gleefully happy. 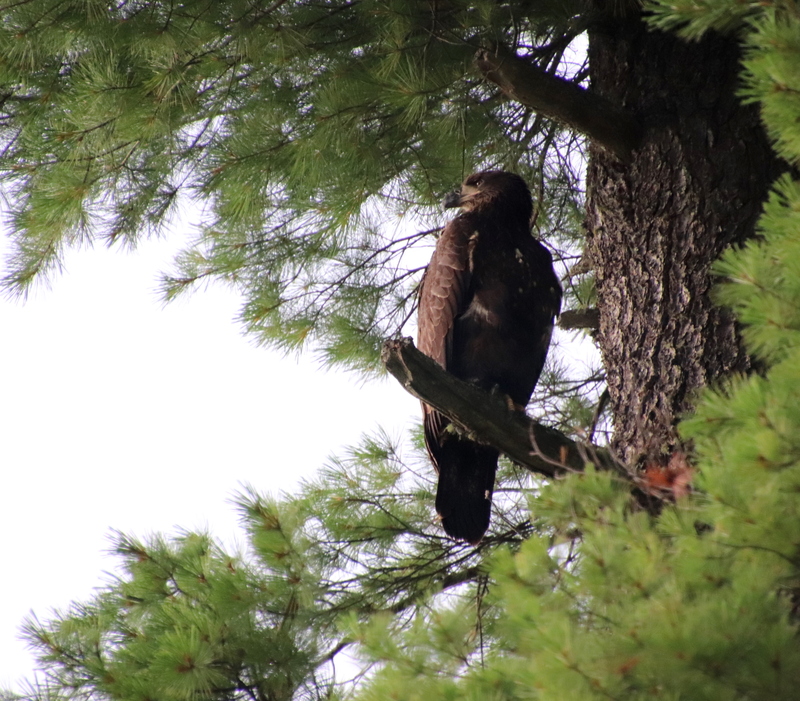 A golden eagle keeps a watchful eye on Long Lake at Camp Takajo. 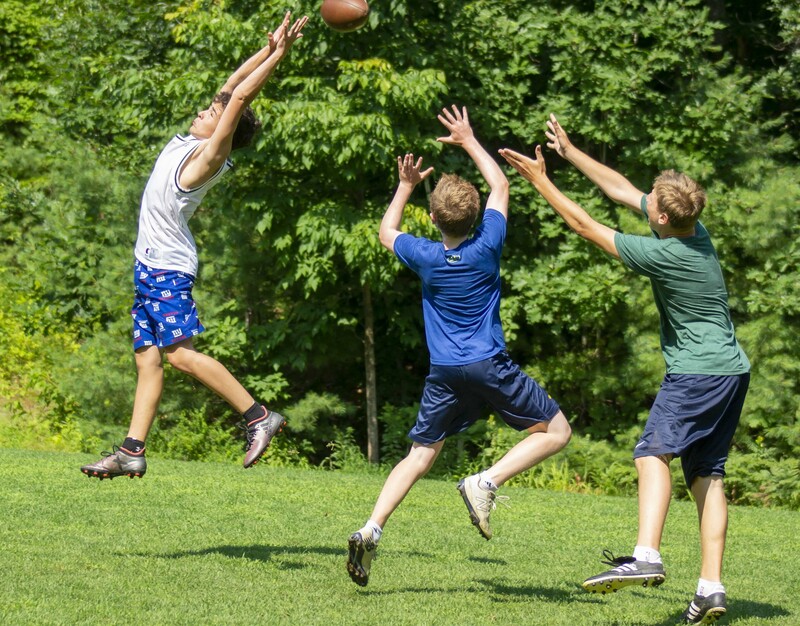 While visiting day is a wonderful opportunity for you to come up, see your son in action, and meet our staff, there is nothing more impressive than seeing the natural flow of a camp day, in its most natural setting. Our children are different when they are not in our presence. Camp creates the perfect environment for a child to explore his own happiness and find his true passions. These prospective parents visiting camp today had a unique opportunity to witness Takajo in its most organic form. Many of you know that just about every night, I go to every Warrior bunk to say goodnight to our campers in the youngest division. Tonight, I marveled at how some bunks seem incredibly neat and organized. It dawned on me this evening that much of a child’s ability to organize has to do with how much his parents pack for the summer. With the best intentions, parents often look at our packing list and then add multiple items, plus many parents provide an excess of games and bins to store these miscellaneous trinkets. What I am noticing is that there is little space remaining around your sons’ beds or cubby areas for this excess, and it actually creates unnecessary stress, as well as daily pressure for your son to manage. I have never really given much thought to why some children struggle more than others with their organizational skills, and it occurred to me that the foundation of these issues centers around excess. Nevertheless, our boys are happy. We can all deal with a little extra clutter, and our focus remains on making the most out of each and every day. It was a typical Saturday night at the movies for our boys. They went to bed tired and dreaming of Lazy Man’s Morning and Dunkin’ Donuts.